While Puck seems at first glance a mischievous, childish character, this quality masks an alien personality. 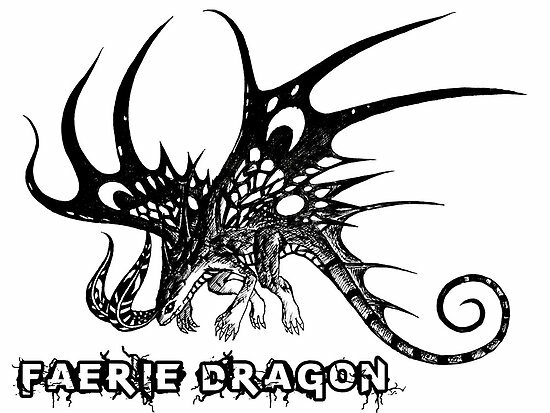 The juvenile form of a Faerie Dragon, a creature that lives for eons, Puck spends countless millennia in its childish form. So while it is technically true that Puck is juvenile, it will continue to be so when the cities of the present age have sloughed away into dust. Its motives are therefore inscrutable, and what appears to be play may in fact hide a darker purpose. Its endless fondness for mischief is the true indicator of Puck's true nature. Puck is a hero that mave many abilities. She has nukes that makes him can deal lots of damage in early game. She also have a Silence skill to make enemies cannot use their skill. She is a quick hero that can jump from one place to another place. She is hard to be killed. 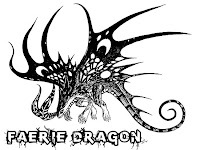 She have many escape mechanism that makes enemies have a hard time knocking her. She is the queen of escaping. 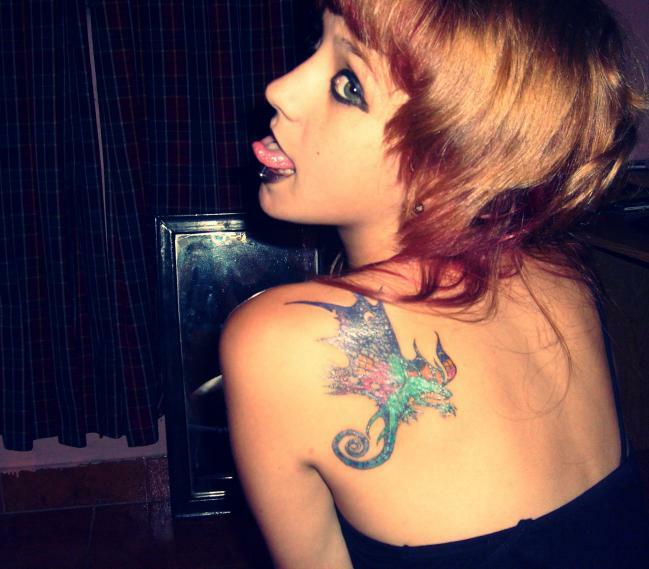 Nobody can touch her. Fly like a butterfly and sting like a bee, that is the slogan of a Puck player. 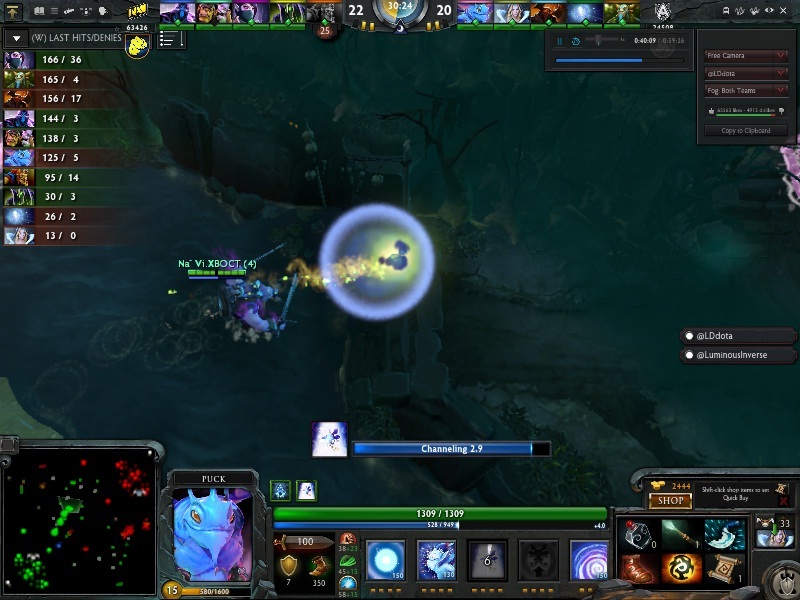 Puck launches magic orb that floats in a straight path, damaging enemy units along the way. 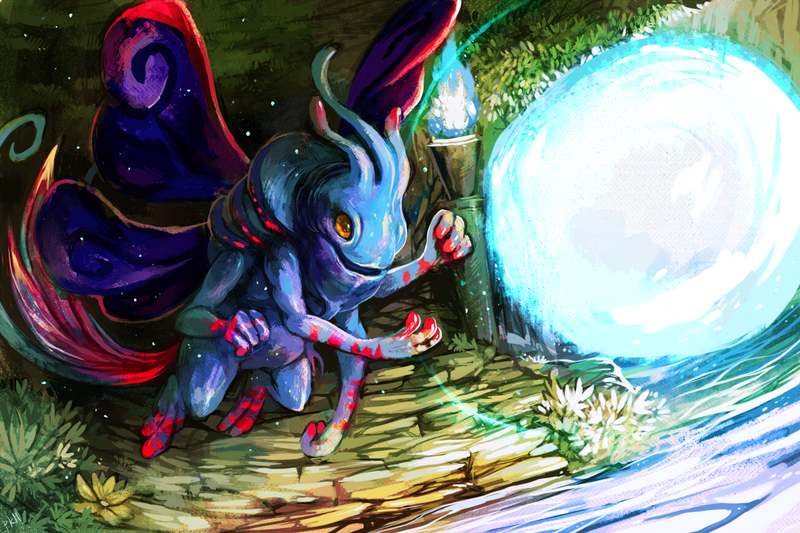 At any point, Puck may teleport to the orb's location using Ethereal Jaunt. 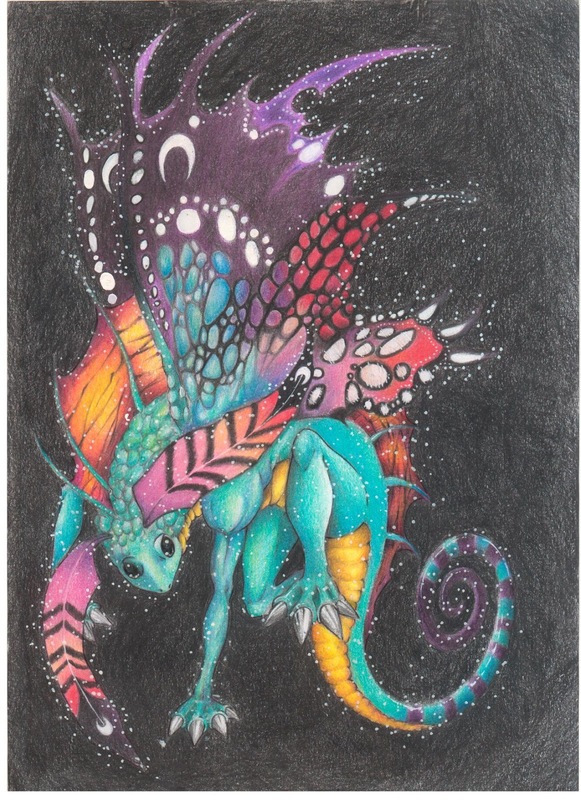 The playful Faerie Dragon delights in confusing others, vanishing and reappearing where unexpected. Your nuke. You can use this to damaging all enemies in it's path. Can be used for harassing and farming creeps. The early game damage from this skill is considered high, you can harass enemies easily with this. This skill can also makes you to jump into the Illusory Orb and makes you can run or chase enemy quickly. This is one of your escape mechanism. You can use this in hard situation and escaping through hills. Use this, gone with phase shift, and then jump to your Orb and run away from opponents. Jump to your Orb. You are not always must jump. If you need to escape then, jump to your Orb quickly. So does if you want to chase somebody, use this to jump to the Orb. 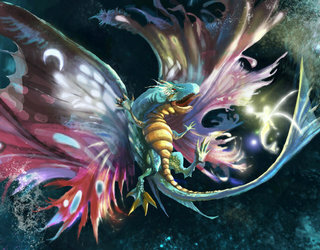 Puck releases a burst of faerie dust that deals damage and silences enemy units nearby. With a mischievous grin, Puck spreads its enchanted powder which disrupts magical flow. Your Silence skill. With this skill you can Damaging while Silencing all enemies in area round yourself. Nice skill combined with your 1st skill and 4th skill to initiating a teamfight. Use illusory Orb first, and then Ethereal Jaunt, after that, use this Waning Rift to damaging and Silencing enemies. After that, use your ultimate. Anad then just wait your friends doing all the damages to the enemies. Puck briefly shifts into another dimension where it is immune from harm. With a quip and flash, Puck returns to the alien dimension from whence it came. Gone for seconds, this will makes you can avoid some damage from enemies in that duration. Nice skill to avoid some missile like Kardel's Assasinate or Gyrocopter's Rocket. This will also allow you to helps you escape. First, use Illusory Orb, and then use this, and while your opponent can't attack you, use Ethereal Jaunt and escape freely. 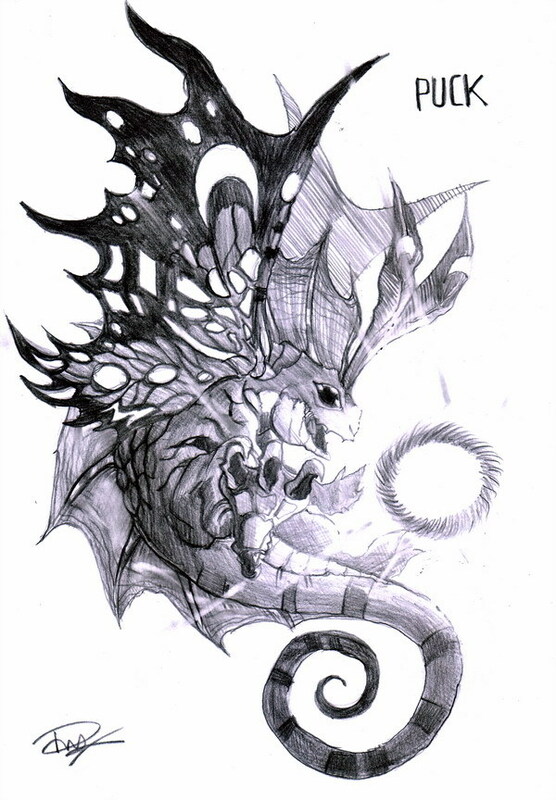 Creates a coil of volatile magic that latches onto enemy Heroes, stunning them for .5 seconds and damaging them. If the enemy hero stretches the coil by moving too far away, it snaps, deals damage again and stuns. Upgradable by Aghanim's Scepter. 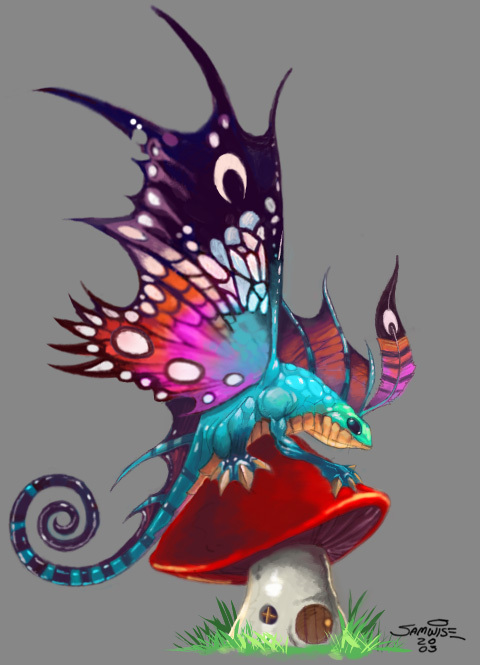 The Faerie Dragon sows confusion by forcing its enemies to vividly dream about their own mortality. Lock down enemies in the AoE with bonds that makes them cannot run from the area or they will receiva a stun and an additional damage. This skill is your main initiating skill. With this skill you can lock down all enemies in the area and make your team can conquer the teamfight.While your enemies are locked down in the area, your allies should come immediately and use all their skills. This is not a perfect initiating skill but with this, you can keep enemies in an area and makes your team comfortably attack them. 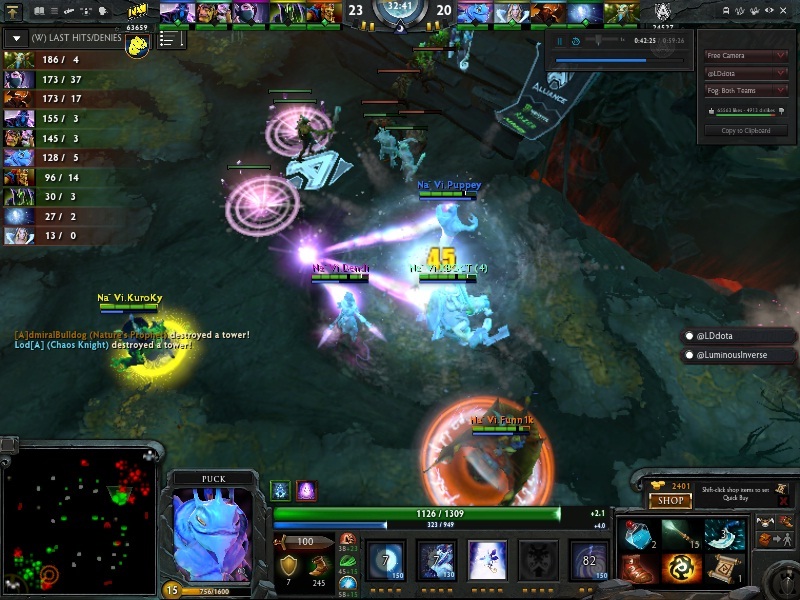 Puck successfully casting the Dream Coil into 3 enemy heroes. Cancel their teleport and make sure his friend can destroy enemy's base without being interrupted. Why maxed Illusory Orb first? This is your main nuke. You can use this for destroying creep's wave. You can use this for harassing enemies. You can also use this to chase enemies. Or you can also you this to escape from enemies. Take 1 level of Phase Shift for early game to make you able to dodge some skills or attacks. Helps you escape. Why maxed Waning Rift before Phase Shift? Waning rift considered a nuke, and nuke should be maxed on early-mid game because enemies HP is still low (below 1000). And for early game, 1 level of Phase Shift is enough to dodge some spells like Assassinate or Gyrocopter's Rocket. You can take wherever lane you want. Mid, Top or Bot, you have the abilities to control all the lanes you want. Mid lane is good for you too, maybe a Bottle will be helpful to regain mana and to helps you ganks. I recommend you to max your Illusory Orb first, this is your main nuke for early-mid game, use this for harassing and for killing creeps. Use your Silence skill to defend and nuking enemies at once. If you fight agaist some single targetted spells like kardel's Assassinate or Gyrocopter's Rocket, you should use Phase Shift Carefully, try to cast the time a second before the missile hit yourself. You should active in ganking another lane in this stage of the game. You then should change lane and walk through river and jungle secretly and attacks enemy from behind. Your combo is Illusory Orb > Jaunt > Waning Rift > Dream Coil. With this combo going perfectly, no enemies can escape from you because at least he will receive about 600 damage in early game, and that's a lot. At least, you or your friends can last hit the enemy hero. Usually, there is a player that buy Blink Dagger for Puck, this item will makes you more agile than before, you can jump here and there and playfully toying your opponents. Some other items that helps you become more playful is Eul, you can make yourself lifted up in a cyclone and can toying with enemies. Toying your enemy is the slogan of a Puck player. In late game, your part is a teamfight initiator. you should remember your combo 1st skill, then 2nd skill , then your ultimate. Illusory orb > Jaunt > Silence > Dream Coil. This is your main combo. your part is to use that skills. After dream coil is casted, enemies will be locked down in an area, that's the perfect time for your friends to use thier ultimate and skills, and also right clicks. Also remember to use Phase Shif to dodge some damages. You should already have some nice supportive items by this time, maybe Schyte of Vyse, Mekansm, or Eul. Maximize your power by using your items too, you will be incincible, lots of escape mechanism and added with supportive items. Puck, the queen of beautiful escape. Why Arcane Boots? This boots is needed because you have spammable skills. And this boots also replenish mana for your team. Why Schyte of Vyse? Very good item to initiate a teamfight. or to defend against somebody by make him into a chicken. Why Shiva's? Gives you an Arctic Blast (More Slow and 200 damage) and gives you a slowing aura, and also gives you +15 armor which makes you tankier. Why Eul? Can make you become more agile with Cyclone ability. You cannot be attacked for 2.5 seconds. Combined with Phase Shift makes you can dodge lots of spells and attacks. Why Dagon? Instant damage needed to finish off enemy hero. Carries should come after you initiate a teamfight, and they should the right click and use all their skills to the enemies. Yaphets is a legendary DotA player from China. He's one of the best. Good to watch. Dendi is a very good dota player from Ukraine. He's one of the best. Watch this to feel OWNING. 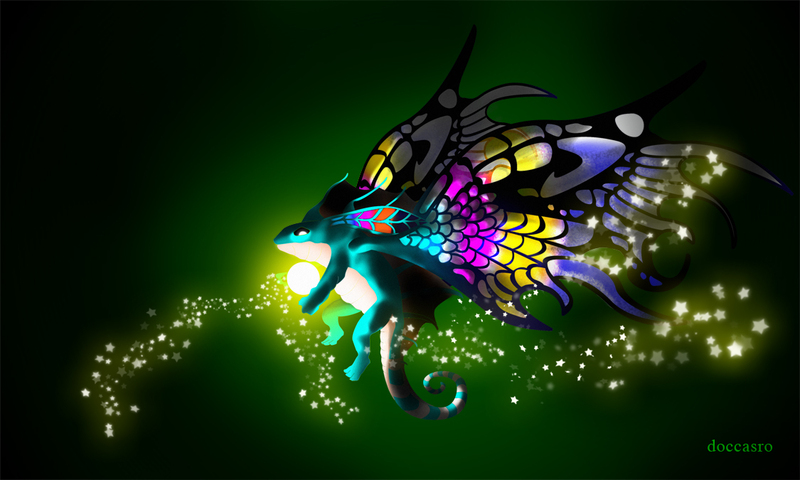 Here I will collect some cool picture of Puck, enjoy the pics. Right click, open link in New Tab to enlarge.